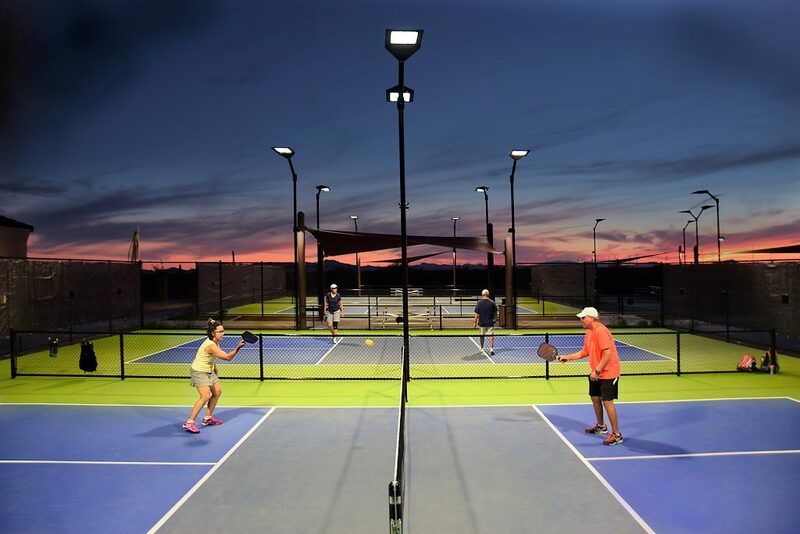 The grand opening of the new Sun City Festival Pickleball complex was held on March 24, 2017. The new (16) court facility is located in Buckeye, AZ. 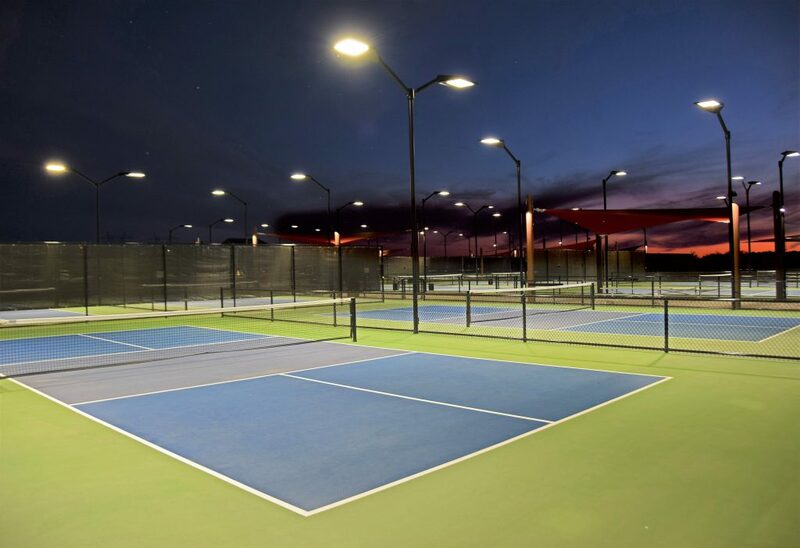 All of the courts are illuminated for night play with the LSI CourtBlade LED lighting system. 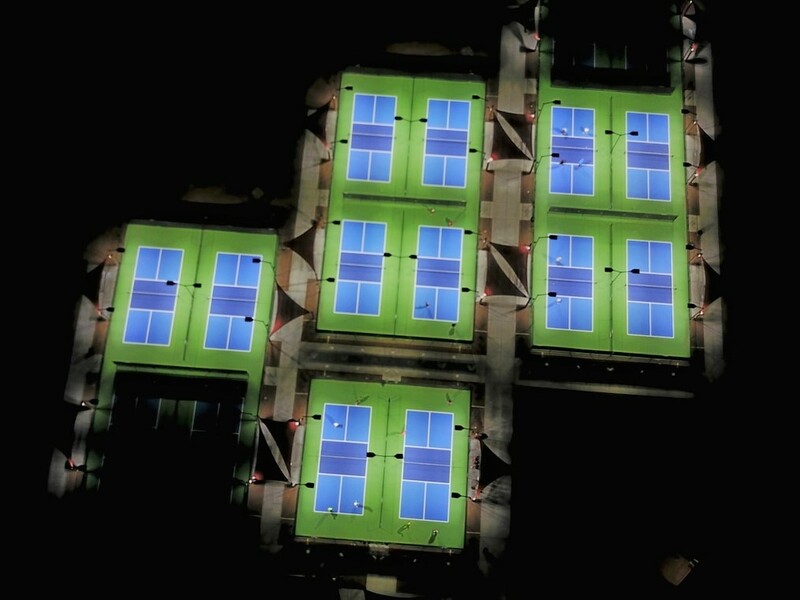 The lighting design produces an average of 70 foot-candles of illumination on each court. LSI also supplied LED security lighting fixtures which illuminate the sidewalks throughout the facility. The LED lighting system will provide consistent light levels over a long period of time with little to no maintenance required. In addition, the lighting system will save approximately 50% in energy costs versus traditional metal halide lighting.